ADVERTISING WEEK, an annual stretch of industry meetings that began on September 26th in New York, is usually defined by schmoozing and self-congratulation. This year’s event has been marred by suspicion. In the week leading up to it, Dentsu Aegis, a big agency, admitted overbilling by its digital-ad division in Japan; and Facebook, a tech giant, said it had inflated the average time people spent watching video ads. Such revelations have reinforced existing concerns among advertisers that they are having the wool pulled over their eyes when it comes to online advertisements. At an Advertising Week panel on “trust” on September 28th, Bob Liodice, the chief executive of the Association of National Advertisers (ANA), spoke of broad doubts among his members. Don’t Google Amy Schumer. If you do, there’s a good chance you could find a site that would expose your computer to malware. That’s right, online thieves use popular celebrities like Schumer to target online users and lure them onto malicious websites. Schumer is just one of many celebrities named in a recent report by McAfee whose search results garner a high percentage of malicious websites. Others include Justin Bieber, Will Smith, Miley Cyrus, Selena Gomez and more. And while you might not find yourself doing a lot of research on Amy Schumer or Justin Bieber for business purposes, it’s still important that you understand the threats that are out there targeting businesses and consumers online. Malware and other online threats are everywhere. And sometimes they’re disguised as seemingly normal websites that are just targeted at people’s popular interests. Cybersecurity is so important for businesses that want to protect important data and documents. So you need to constantly monitor the threats to your business and take measures to protect your company. After all, the last thing you want is to have your system infected with malware because you were looking up Amy Schumer or Justin Bieber on a work computer. When it comes to your business’s finances, there are so many different tools for you to consider. So it can be a big help when the tools you already use integrate with one another to make the whole process easier. Recently, Xero announced improved integration with PayPal. And Shopify also added a partnership that could help merchants with their finances. In other news, QuickBooks finally allowed its users to create bundled products of items that are often sold together. Read about these updates and more in this week’s Small Business Trends news and information roundup. Xero (NZE:XRO), the cloud-based accounting software for small and medium-sized businesses, has been on a roll this year having already offered its customers a way to support credit card payments through Stripe and to access a variety of payment options when preparing an invoice. Shopify (NYSE:SHOP), a cloud-based, multi-channel commerce platform, announced September 20 that it has partnered with trade finance and insurance solutions agency Export Development Canada (EDC) to insure the merchant cash advances offered by Shopify Capital. Manually managing tax compliance requirements can be extremely difficult and time consuming as well. It can also be costly as your business can face penalties and fines if you get it wrong. This is why it is absolutely critical for you to get yourself an automated system that will help you reduce risks and complexities, allowing you to focus on your primary expertise. 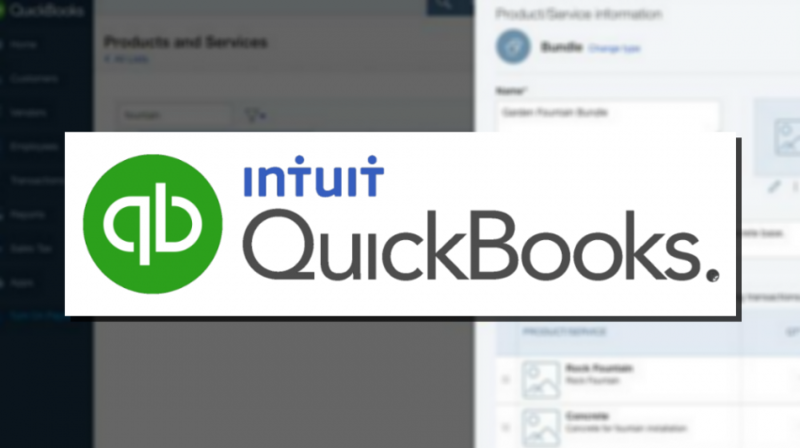 The accounting software package QuickBooks from Intuit (NASDAQ:INTU) recently released “Bundle,” a feature that lets you track a group of items you are selling on the software. The new bundle feature is one of a number of recent improvements to the QuickBoks platform. Mandatory Retirement Savings Program Coming to a State Near You? Washington state has created a Small Business Retirement Savings Marketplace where small businesses can go to get affordable retirement plans to offer their employees. The marketplace is expected to open in January, ahead of an expected mandate in the state. There are already some states where a mandate is in place, and even some cities are exploring the possibility. Small business owners are trying just about everything to try to recruit new talent these days from flexible hours to 401 Ks. But what about offering something just a little less conventional. If you’re in the market for a new pair of sunglasses, there’s a new brand to consider. Snapchat — yes, that’s right, Snapchat — just revealed a new product: sunglasses that record video. Like the popular smartphone app, the glasses record video in ten second increments. But since they’re wearable, it gives the user more freedom to record their daily lives. The glasses cost $130. As mobile apps become more and more popular, the resources available to those app publishers also continue to expand. But the tools available to smaller app publishers are much more scarce than those aimed at larger companies and app developers. That’s where Pyze, a mobile app marketing solution provider, comes in. Anheuser-Busch is in the midst of the largest beer merger in history. The company has been attempting to take over SABMiller, the maker of Miller Lite, for about a year now. And shareholders finally approved an offer this week. It hasn’t been an easy process, largely due to outside factors. Of course, with a takeover this big there are going to be some anti-trust issues. In the last year, small businesses en masse have been pushed to the brink. Natural disasters like the deadly flooding in West Virginia or civil unrest that’s spilled into the streets often force small businesses to close their doors or, at the very least, severely hamper their ability to do business as usual. Elon Musk wants to colonize Mars. And while that isn’t likely to actually happen for many years, the billionaire CEO is getting closer. This week, Musk tweeted the first photos of the Raptor interplanetary transport engine shooting fire from its jets. The engine, which has been in development for years, reportedly has enough power to make the journey. FedEx Corp. (NYSE: FDX), which operates FedEx Express, the popular express delivery and parcel shipping service, announced Monday it will increase shipping rates by an average of 3.9 percent for U.S. domestic, U.S. export and U.S. import deliveries. FedEx Ground and FedEx Home Delivery will also increase by an average of 4.9 percent. Coming shortly after the Federal Aviation Administration introduced its first regulations for commercial drone use, United Parcel Service, Inc., (NYSE:UPS) announced last week it has begun testing an unmanned aerial delivery vehicle built by drone-maker. Google (NASDAQ:GOOGL) recently launched a new smartphone app that can help you plan and organize your trip. The app, better known as Google Trips, automatically pulls details about your trip from your Gmail account and goes ahead to recommend “local gems,” attractions and restaurants based on data collected from other travelers. Over the next few weeks, the tech giant Microsoft (NASDAQ:MSFT) will be adding support for Facebook photos and Google Drive to Outlook.com. These new additional features will also be accompanied by a fresh “attachments view” feature that makes it easier to find those old attachments, the company says. The internet, mobile technology, video and social media have merged together to give businesses and consumers a platform to share, connect and market with rich media. What GoPro (NASDAQ:GPRO) has tried to do with the new HERO 5 Black and HERO 5 Session cameras is simplify the process of capturing, sharing, storing and editing video so much, it becomes effortless. MakerBot started shipping 3D printer kits in 2009, and since then the company has been having its ups and downs as the market continues to define itself. With the DIY market for 3D printing so crowded, MakerBot has decided to change directions by going after the professional and educational segment with the new Replicator+ 3D printers. Microsoft’s Windows Defender is getting a major retooling to improve its ability to combat malware. This week, 23,000 IT professionals are gathered at the Microsoft Ignite conference in Atlanta to learn about some of the latest technology advancements in security, intelligence and the cloud. At the Microsoft Ignite Conference in Atlanta today, Microsoft (NASDAQ:MSFT) announced a new partnership with Adobe (NASDAQ:ADBE). Under the partnership, Microsoft Azure will become the preferred cloud platform for the Adobe Marketing Cloud, Creative Cloud and Document Cloud. Customers of Adobe will have the benefit of Microsoft’s powerhouse Azure cloud infrastructure behind them. When Lifesize, an HD video collaboration platform, was spun-out from computer peripheral maker Logitech, it had to make a massive shift of its product offering to a subscription-based cloud service. Which also meant they needed to make a massive shift to becoming a company highly aligned with rapidly changing customer needs and expectations, or else risk losing them almost as fast as they’re able to bring them on. Amy Downs, Chief Customer Success and Happiness Officer Lifesize, shares with us how the key to the company’s transformation to a subscription business model was changing the corporate culture to be customer-first. And how that change raised their net promoter score (NPS) from negative four to over seventy, increased customer retention rates, and created a customer support team that finally understood their value to the business. Small Business Trends: Before we jump in there maybe you can give us a little of your personal background. Amy Downs: Absolutely. I’ve been in the tech space for many years. I started as a coding software as a software engineer early in my career and realized very quickly that I missed working with people and customers and so over time I’ve just really enjoyed creating experiences and working with them with employees happy employees — happy customers and so on. So really have spent the last few years of my career focused in on both. Both growing startups and also this SAP what we’ve done here at Lifesize which is really a bit of a turnaround. And so — really helping companies to understand the importance that customer obsession has to add to the overall bottom line. Small Business Trends: So tell us about what you guys do over at Lifesize? Amy Downs: We were the very first creators of HD video conferencing many moons ago. We started as a hardware company and we were acquired. Craig Malloy’s our CEO and started a company manufacturing amazing video conferencing end points and we were acquired by Logitech in 2009 for about four or five million dollars. Then in 2012 the market really started to shift. The on-premises infrastructure videoconferencing market was really declining and at the same time with consumer apps like Facebook and Skype people started to get used to this concept of talking with each other on video. So we noticed a shift in the market where B2B video conferencing was just taking off like crazy and we had to make a decision. Either we rode that trend line down by staying with our on premises solution or we made the shift and take our on premises solution and put that in the cloud and that’s what we did. So we did a complete overhaul of our product offering to a cloud based service. We completely changed the entire structure of the organization and we knew as a cloud service provider that it’s so easy for customers in a cloud based world to just switch and Lifesize didn’t have a huge focus on customers. Small Business Trends: Why did they bring you in as Chief Customer Success and Happiness Officer? 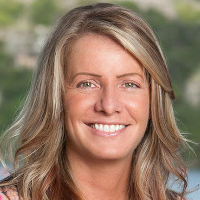 Amy Downs: We were a manufacturer of hardware devices in a three tier distribution model so we were very far separated from customers and so we really needed to bring in — what I call slow customer service DNA into the company. And Craig Malloy knew that. So I joined Lifesize back in May of 2014 because like you said there was a little bit of a challenge when it came to customer service. Small Business Trends: What exactly was the main challenge? Amy Downs: When we rolled out our on premises infrastructure solution I remember interviewing with Craig and he said we had a few product problems but nothing you can’t solve. And we’re also making this shift to a cloud based solution. And he says we really need a full focus on customer obsession. I’m a huge believer that customer services does not just sit with customer support. It is a company based initiative. And so — we needed a culture of customer obsession in order to win in this market. And the reason I joined was because he understood the link between a very strong culture and being able to create customers for life. One of the first things I asked was do we get feedback from our customers, do we have any voice of the customer program here at Lifesize. They said we actually sent out the support surveys. I said, what do we do with them, and they were like, oh really nothing. So I remember looking through all the surveys and I was like, oh boy. What it really told me was that there were three pillars I think to really fixing any problem, you know. It all starts with the people and usually those folks just need to know a direction; what’s important. They need to know how the work they do connects with the customer, and how important that is to our business. And then they really need processes and systems to be successful. And so really there were just a couple of what I would say simple things that we did. I needed everyone at Lifesize to know that Craig was like behind us right. That this was what we were building and the changing of our culture was a CEO driven initiative. And I had his full sponsorship and so we educated the entire company. We brought in net promoter and we educated everybody on the importance of our customers. During our first town hall I asked who pays our paychecks. We got all these different answers from our employees, and no one said our customers. 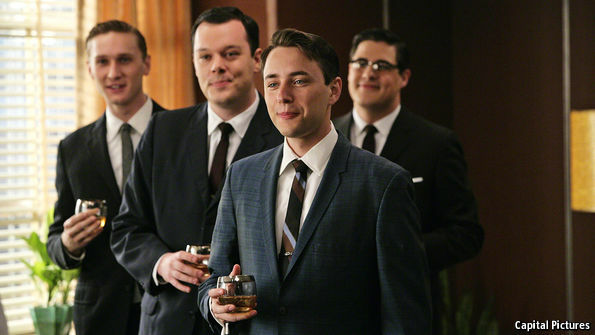 And I said, no, that’s who pays our paychecks. That is who is putting food on our table and that’s who allows us to drive, you know, good cars and have — homes — and go do fun things and so, you know, I said, it’s our jobs and our commitment back to that community and back to our customers. To do the right thing by them, and every single person at Lifesize plays a role in that. And so we started to put our net promoter program in place and gather that feedback. One of the challenge areas as I mentioned was our customer support department. So we made some really minor adjustments. We put a couple of tools in place that helped that team to see when help tickets were coming in and how they were aging. We basically educated them on the philosophy and vision for what we wanted customer obsession to look like and ultimately really just built that team up. I would say they were shoved off in a corner and really very disconnected from the business. So my job was really to help them to understand how important they were and what a critical role they played in the success of our company and give them a couple of tools that they needed to be really successful. And so we actually were recognized by winning a gold Stevie award for customer service team of the year for making the transformation. When we started as I mentioned our net promoter score was a negative four and today it is over 70. If you set that vision and give the systems and processes they need to be successful — and just believe in them and let them know that they’re making a difference — that’s all it takes. That’s really it. That was the biggest piece of what we did. Small Business Trends: What kind of impact has the rise in NPS had on retention rates or even revenue? Amy Downs: We launched our cloud service as I mentioned really in late May of 2014. We are approaching 4,000 new customers. Our retention rates are fantastic. We actually measure customers on all sorts of factors and industry benchmarks on churn and ultimately what we call net positive ARR (Annual Recurring Revenue). And a lot of that again is just changing the culture of our company, not just with the customer support team but with the entire company. And bringing that voice of the customer program so that we continually drive change over time. That change has helped us with reference customers. We see that 50 percent of the customers we ask to be references on our net promoter surveys say they are absolutely willing to be a reference and do case studies. So — lots of advocates and promoters out there and we actually are approaching 350 percent growth in all of our individual registered users making calls on the system, and 204 percent growth in our minutes call volumes year over year. Small Business Trends: It sounds like as the business model has changed to being a cloud based subscription, the service model has become central to the overall business model. Amy Downs: It’s such an important point because it is critical that it’s done in advance. I’ve been in this space for almost 10 years now and what I’ve noticed is I don’t think companies realize that until they’re in year two or three and they start to have a churn problem; and they’re like, oh, my gosh, we have to go address the three things to build a great customer service team or we need to add a customer success function and we need to build out the journey. And so it’s a super point because if you start with the end in mind you have to build a great experience that should be part of the product offering. And I think if companies think that way and really put a focus on how do we deliver great value and great service. And how do we promote that to our customers. And ultimately from a customer standpoint if they’re making an investment in a product they want to know that — not only does that product serve their needs but how are you going to ensure that they are getting the value for the money that they spent and that you’re going to take care of them. And continually are providing information on new updates, new features, new things that we think will help our customers reach the goals they had when they first bought, or may provide them with additional value down the road that they weren’t even thinking of. I’m Ready to Make Cloud Part of My Offerings To Customers, What Do I Do Next? So you’ve decided you’re ready to make the cloud part of your offerings to your customers. But what’s your next step to make sure you ready for this new phase of your IT business? Once you’ve come to that all-important decision, it’s time to really do a self-assessment, says Chaitra Vedullapalli, cloud architect and CMO of Meylah. Among the things you should determine are how you’re going to integrate cloud services into your other offerings? The business model has already been discussed. You’ve already taken into consideration the ways in which the new business can make you money. Now what are the steps you need to take to offer these services? Business Model. 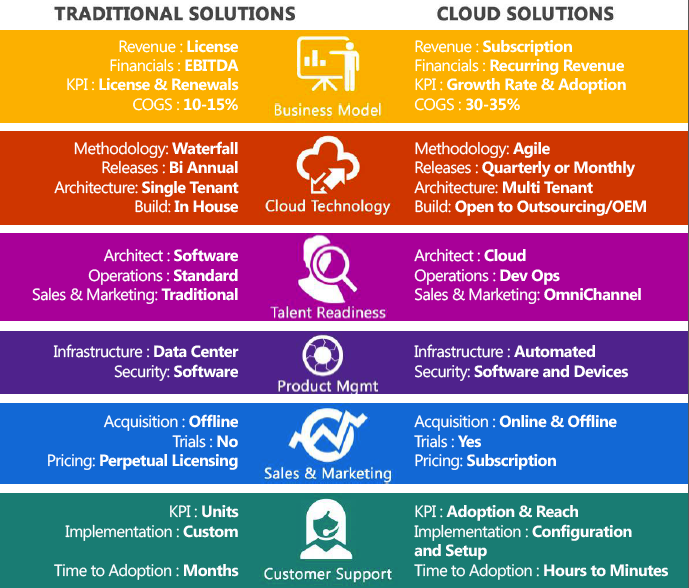 The cloud-ready business model is the foundation and a vital key to building a cloud practice. Therefore, establishing a clear business direction and strategic game plan is necessary to achieve the revenue growth. Cloud Technology. Choosing a reliable and profitable cloud technology stack will help IT companies successfully transitions customer solutions to the cloud. Talent Readiness. Identifying the right people to lead the cloud transformation initiative is critical. The cloud requires a different skill set than traditional IT, Vedullapalli said. Product Management and Delivery. Cloud solutions call for constant care and feeding. If you are building a cloud product then establishing a cloud product management team and delivery team will ease the transformation. 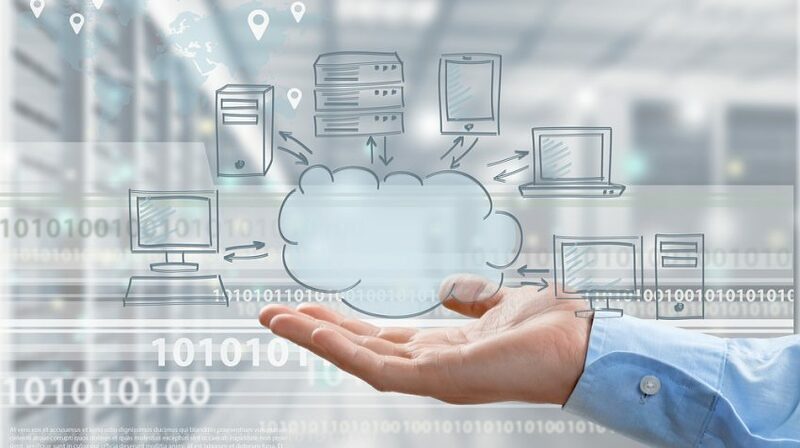 If you are stitching cloud products from multiple vendors to create a solution, then you need to have establish vendor relationships and product competency to support the customer needs on a regular basis. Sales and Marketing. Acquiring customers demands that companies think differently about sales and marketing and focus on marketplaces, partnerships, proof of concept as an irresistible offer and use of digital media campaigns. Customer Support. Cloud solutions require a new way of supporting customers. They focus on onboarding, addressing billing and provisioning questions, and working proactively with the product development team to address the customer challenges. The shift from traditional, on-premise infrastructure to cloud-based solutions is seismic, bringing dramatic changes that touch each of the core areas mentioned above. For example, licensing is no longer based on annual renewals but on pay-as-you-go subscriptions that provide recurring revenue. Software releases used to only take place bi-annually. Now, they occur quarterly or even monthly. In the old days, the time to adoption could take six months to a year. Now, it requires just hours or even minutes. With all the changes, it’s no wonder that IT providers have difficulty keeping up! Without a doubt, the invention of the cloud has disrupted the traditional IT business model and practice. And while IT companies know why they need to become cloud ready, what they don’t know is how. That’s where Vedullapalli’s company, Meylah, can help. Meylah offers providers a 7-step roadmap to becoming a cloud-ready business. Companies that have adopted these steps have seen success in helping existing customers and attracting new ones. Determine Your Profitability. Conduct profitability planning to identify business models for building or scaling a cloud practice. Assess Your Readiness. Next, assess your readiness to understand the areas where you should invest resources and budget. Microsoft and Meylah has partnered to provide a readiness assessment tool, to make the process easier and quicker for IT companies. Decide on Your Business Model and Strategy. Develop a business strategy and change plan for building or scaling your cloud practice. Vedullapalli recommends that you work with a company who can help you focus on building a cloud business model and identify the first 100 day action plan. Build Cloud Solution Configurations. Identify, package and build cloud-based product integrations, applications and managed services. Create a Go to Market Plan. Develop go to market channels for promoting and distributing cloud applications and services. These could include marketplaces and via partners. Develop a Customer Support Plan. Establish a 24X7/365 customer support function to manage provisioning, billing, invoicing and activations. To learn more about how to becoming a cloud-ready business, take the FREE Microsoft cloud readiness assessment at iamreadycloud. Those who take the assessment will also receive a free report detailing the cloud-ready journey. About 30 scientific centres and museums in Bulgaria will participate in the initiative European Night of Scientists. The initiative is organised by the European Commission in more than 300 cities in Europe every year. The purpose is to increase public awareness of education, scientific research and innovations, as well as to help overcome negative attitudes towards scientists. The European Night of Scientists is targeted at everyone, independent of their age and qualifications. Special attention will be paid to young people and children. Pleven’s Medical University hosts the Night of Scientists for the 4th time. Professors, students, historians and theologians will partake in the topic Food – History, Symbol and Medicine. The Night of Scientists will open at the Regional Historical Museum at 17:00 hrs with the exhibition Agricultural Crops in the Old World and Antiquity. Unemployment in the 28 member-states of the EU stabilised for the fourth consecutive month at a 7-year low of 8.6%, while unemployment in Bulgaria hit its lowest level since October 2009, reaching 7.7%, showed Eurostat data. Unemployment in the EU in August remained at 8.6%, same as in July and lower than the 9.3% registered in August 2015. At the same time, unemployment in the Euro Zone also stabilised for the fourth consecutive month at 10.1% (the lowest level since July 2011), compared to 10.7% a year ago. A total of 255,000 Bulgarians were out of a job in August 2016, compared to 259,000 a month earlier, reported Eurostat. This is a permanent decrease in unemployment below the psychological level of 300,000 for the 12th consecutive month. In August, youth unemployment rose to 14.8% from 14.7% but it is much lower than the 21.3% registered in August 2015. In August 2016, 24,000 youths under the age of 25 were out of a job, compared to 24,000 a month ago and 39,000 in August 2015. Turkish authorities have laid off 1,500 prison employees and supervisors, reported Reuters, citing Justice Minister Bekir Bozdag. According to him, the people laid off are under investigation for links to Fethullah Gulen. Ankara claims that the cleric living in the USA is behind the coup attempt on July 15. Ankara also stopped 20 TV channels claiming that they spread “terrorist propaganda”. Most of the TV channels belong to the Kurdish community in Turkey. Meanwhile, Turkish President Erdogan criticised the Lausanne Peace Treaty of 1923 which established the borders of the contemporary Turkish Republic. Turkish media perceive the statement as a veiled criticism of the founder of the republic Mustafa Kemal Ataturk who saw the Lausanne Treaty as a victory after the damaging for Turkey Treaty of Sevres. You are currently browsing the Business, finances, forex blog archives for September, 2016.